Hop aboard for a tour of Okinawa's famous landmarks on the island's most convenient Hip Hop Bus service. 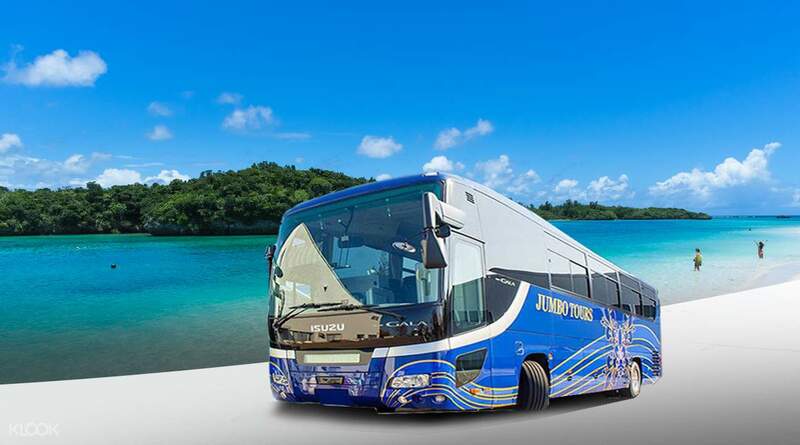 Enjoy the scenic island landscape of Okinawa from your spacious seat on the sightseeing bus. Choose from any of the five different bus routes and get to see only the sights you want to! 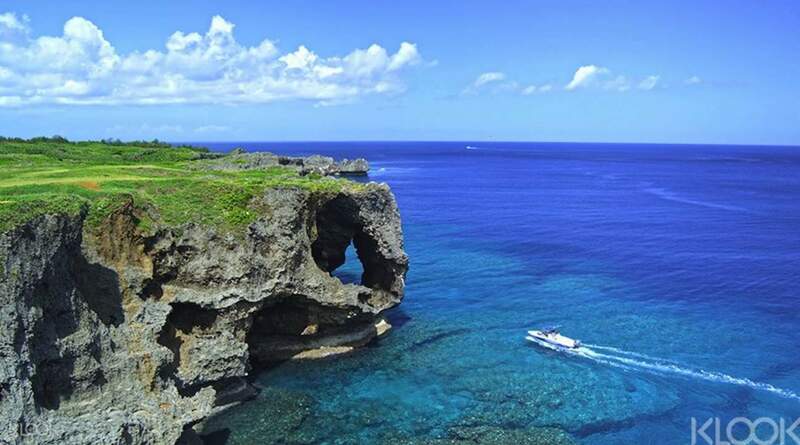 Visit Cape Manza, an impressive rock formation where you are able to take stunning pictures of the vast ocean. Tickets also include admission to the Okinawa Churaumi Aquarium, a world-class location with an impressive collection of sea creatures. End the day with in a pineapple paradise as you ride an automated cart in the tropical gardens of Nago Pineapple Park. 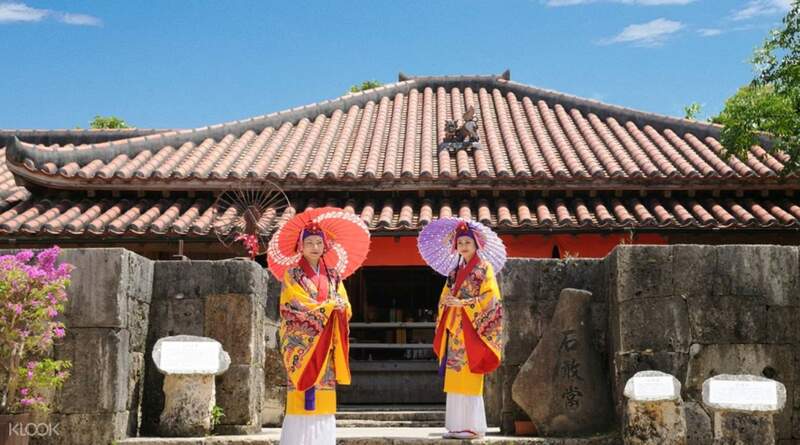 For the best overview of Okinawa, with admission tickets to the top sights included, you can't beat this one day Okinawa sightseeing tour to see the area's most popular landmarks. So sit back and relax as you listen on headphones to your multilingual personal commentary on the wonderful sights of Okinawa. 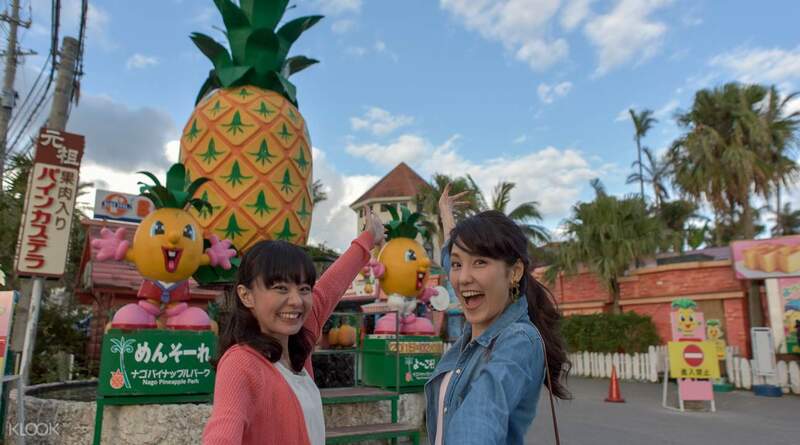 Take the bus to Nago Pineapple Park and explore by pineapple cart! The tour is great for those who will not be driving in Okinawa and still want to cover the hot spots. Duration for aquarium is only 3 hours and seems too short to cover the entire place so need to check out show times in advance! The tour is great for those who will not be driving in Okinawa and still want to cover the hot spots. Duration for aquarium is only 3 hours and seems too short to cover the entire place so need to check out show times in advance! easy way to go to main attractions if you don't drive. bus is clean and spacious. enough time for all activities. we're even given water and snacks. the only thing is that being stranger to the place it's natural for us to be anxious to be on time. so maybe you could ask the guide about the place first. easy way to go to main attractions if you don't drive. bus is clean and spacious. enough time for all activities. we're even given water and snacks. the only thing is that being stranger to the place it's natural for us to be anxious to be on time. so maybe you could ask the guide about the place first. A good tour if you are staying in naha.. the tour goes to the further places and attractions. The bus was comfortable and the guide was friendly and reliable. Not rushed and ample of time given at each location. Need to do a bit of walking but the view is wonderful. if you want to see the vast ocean and escape away from city life in naha it's a good 1 day tour. A good tour if you are staying in naha.. the tour goes to the further places and attractions. The bus was comfortable and the guide was friendly and reliable. Not rushed and ample of time given at each location. Need to do a bit of walking but the view is wonderful. if you want to see the vast ocean and escape away from city life in naha it's a good 1 day tour. Online booking for the tour was very easy. There are 6 pick-up points, which makes it very easy to join their tour. The bus arrived punctual at our pick-up point at Hotel Royal Orion.The bus was very clean and comfortable and had audio guides in English. Online booking for the tour was very easy. There are 6 pick-up points, which makes it very easy to join their tour. The bus arrived punctual at our pick-up point at Hotel Royal Orion.The bus was very clean and comfortable and had audio guides in English. The trip was exciting and fun! The tour guide speaks fluent English. No language barriers since i also speak Japanese! The bus was smooth driving and clean! Pineapple park was okay. I wish I could stay longer in Kouri Bridge cause it was beautiful there. 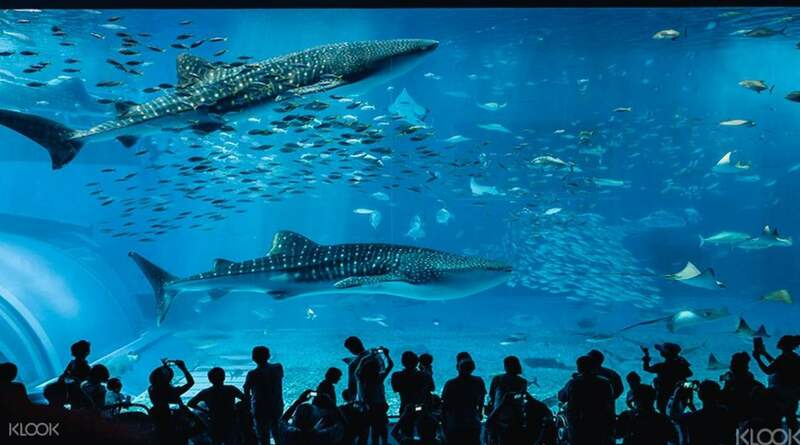 Churaumi aquarium is a great place because it’s so huge and beautiful! Cape manza has some incredible views as well! I want to try the terrace and american village next time! The trip was exciting and fun! The tour guide speaks fluent English. No language barriers since i also speak Japanese! The bus was smooth driving and clean! Pineapple park was okay. I wish I could stay longer in Kouri Bridge cause it was beautiful there. Churaumi aquarium is a great place because it’s so huge and beautiful! Cape manza has some incredible views as well! I want to try the terrace and american village next time! the tour guide was really considerate and nice! the audio-guide used throughout the tour was also quite user-friendly and let us have a brief of the places we visited right before each spot. we were happy about the arrangement and logistics as well - with reasonable time to stay @each place :) we did enjoy this tour a lot! thanks a lot! the tour guide was really considerate and nice! the audio-guide used throughout the tour was also quite user-friendly and let us have a brief of the places we visited right before each spot. we were happy about the arrangement and logistics as well - with reasonable time to stay @each place :) we did enjoy this tour a lot! thanks a lot! Pickup at convenient point near our hotel.Is good as normal tour bring us many places to see scenery.Good friendly tour guide with audio in different language also gave us gifts frm tour. Pickup at convenient point near our hotel.Is good as normal tour bring us many places to see scenery.Good friendly tour guide with audio in different language also gave us gifts frm tour. Very nice and helpful tour guide and bus driver (both ladies ^^). Bus is comfortable and spacious. Sufficient time for each spot. Though it was cloudy and rainy, we managed to visit all the planned places. It was a very good experience for me and my mom! Will definitely join another one next time! Very nice and helpful tour guide and bus driver (both ladies ^^). Bus is comfortable and spacious. Sufficient time for each spot. Though it was cloudy and rainy, we managed to visit all the planned places. It was a very good experience for me and my mom! Will definitely join another one next time! It was an awesome ride. This tour covered most of the famous Okinawa sighting location which we intend to visit. The cooling weather makes the trip even more relaxing. The time allocation for each location was just right. Thank you Klook for making my 1st trip to Okinawa a memorable one. It was an awesome ride. This tour covered most of the famous Okinawa sighting location which we intend to visit. The cooling weather makes the trip even more relaxing. The time allocation for each location was just right. Thank you Klook for making my 1st trip to Okinawa a memorable one.